If your child wakes up throwing fits or having tantrums, chances are he or she lacks sleep or did not have enough rest during the night. Kids who feel groggy, fussy, or inactive during daytime most likely had trouble sleeping or have not achieved their full hours of sleep. Sleep is a basic need for both adults and children but they need more hours of quality sleep to boost health and growth. Children today are having trouble sleeping due to too many reasons – having a poor mattress should not be one of them. Your children’s beds is vital for promoting good sleeping habits. 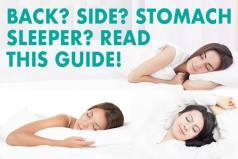 With that in mind, we hope this guide to choosing the best model to help your kids achieve a good night sleep helps in your next choice. How Do Mattresses Affect Your Child’s Sleep? Growing kids need deep sleep or have to reach the REM state in order for their bodies to develop and cells to regenerate at a rapid rate. On average, children need at least 8 to 10 hours of sleep but with all the gadgets lying around, it can really be difficult to trigger sleep. Many young children who are found to be hyperactive, overly sensitive or emotional, talks excessively; and sometimes labeled as attention deficit disorder often lack the required sleeping hours for healthy growth. Frequent wakefulness could mean your child is uncomfortable with his or her environment includin having the wrong mattress to sleep on. There are a myriad of options available in the market for all sleeping positions when shopping for the best model for your child, many of which are the same for adults. Parents want the best for their children. But since mattresses vary in design, material, density, price, and brand, finding the best match for your kids’ needs requires a lot of research. Parents may have different criteria sets when choosing the best kids bed but should always prioritize what is safe and healthy for them rather than just focus on the aesthetic value of the model. 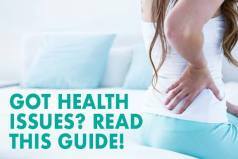 When you’re out shopping for memory foam mattress, latex or hybrid pocketed coil mattress, or innerspring mattresses, you have to check if these are kid-friendly and promote good sleep alongside other health benefits. Look for something solid that can withstand wear and tear as obviously, children do not just use the bed for sleeping. Keep in mind that your little ones use it for a whole lot of other activities besides sleeping. Comfortable – Mattresses for kids must be made of soft yet durable materials which provide adequate support yet comfortable enough to sleep on. Hypoallergenic or Antibacterial – Go for the hypoallergenic or antibacterial type that provides protection for your kids while they sleep. This rids the bed of bacteria, dust mites, and other allergens. Kids grow up fast too so look for a model that adjusts accordingly to your kid’s size and that which you can use for a much longer time. It’s best to get the appropriate size for your growing child which means you should buy a full sized model that will fit him or her even when they’re already in their teens. Getting the right fit and comfort and support level in mattresses help your children live a healthy and active lifestyle while also bolstering their academic performance in school. Mattresses generally have a lifespan of 10 years. With that in mind, you must also consider the durability and quality of the mattresses you buy as well as the price tag. See if it does give you the biggest bang for your buck and not leave you shortchanged. The Bear is infused with graphite gel which promotes cool and relaxing sleep. It also has built-in response foam which supports the spine and allows just the right amount of bounce. More so, it is also made of a high-density foam and Celliant fibers which reflect safe amounts of infrared lights into the body which speeds up muscle recovery and also relieves pressure points. If your kids are active sleepers, they will definitely love this one! Best of all, it is also eco-friendly which means there are no harsh chemicals in the product that can harm your kids or cause toxicity. It comes in a universal comfort model which we rate as a 6-7 on the firmness scale (10 being firmest), and it provides good support as well as great comfort for all sleeping styles, and especially for kids as well! 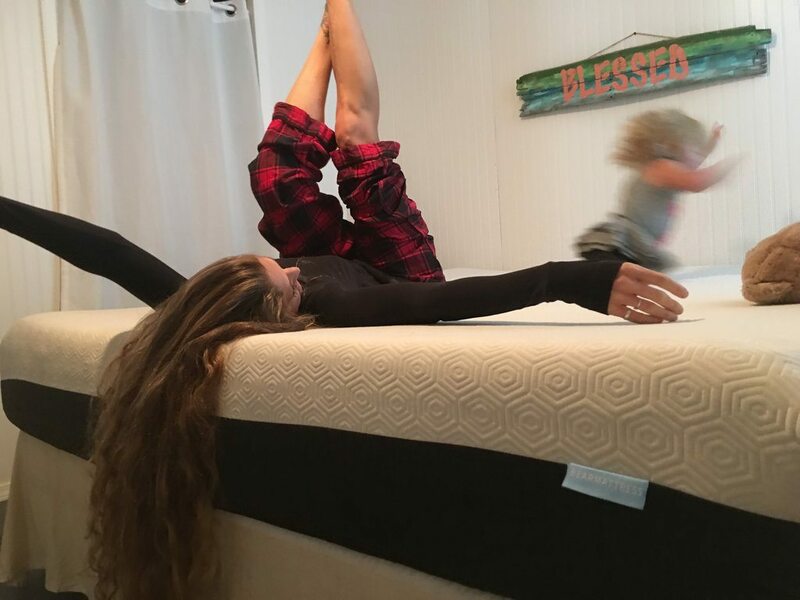 The Nolah is an excellent model and one of our favorites due to it having the comfort and feel of memory foam without the heat and sinkage traditional memory foam often has. If you are looking for value for money, this model fits that category. The Leesa is not quite cheap but definitely worth the investment. A Twin comes at $550 but you can save $100 on the purchase with this link. It provides a cooling sensation during sleep, which encourages your kids to stay more in the bed and avoid unnecessary wakefulness at night. 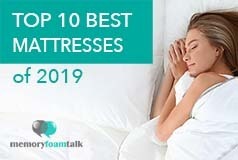 It is made medium firm yet soft which provides great core support and pressure relief, especially in the back region, making it perfect for both back sleepers and side sleepers. The Leesa is also made of eco-friendly and breathable materials, which is ideal for kids.